1 How Long Do Dog Hives Last? 2 What can I give my dog for an allergic reaction? 5 Can Dogs Take Benadryl Daily? 7 How can I tell if my dog is having an allergic reaction? Has your dog just broke out in hives unexpectedly? Do not panic! Hives in dogs occur as a result to dogs being exposed to allergenic compounds that trigger the hives to breakout. If it you are not bothered for your dog being drowsy, an effective allergy reaction treatment like Benadryl is good enough to treat it in low dosages, your dog will be back on her feet and enjoying life again. Having said that, it is important to take note that the case of hives breakout in dogs can be recurring, therefore just treating the instance of hives in your dog today is not good enough. Steps have to be taken to find the best way to prevent a recurrence of hives in your pets at home. A good place to star in keeping hives at an arm’s length from your pet is to avoid exposing your dog to the allergen that caused the reaction in the first place. As a pet owner, you should always keep Benadryl for dogs at home and on hand when you go out on long walks. As said before, the most fortunate thing about, many of the common cases of hives in dogs is the fact that they are just an allergic reaction to their environment where triggers of hives are active, so if your dog spots any signs of hives, there’s no need for cause of worry and panic, your canine may have a breakout today, with your help he will be back on his feet tomorrow. How Long Do Dog Hives Last? Mild to medium breakout of hives will go away within the first 24 hours from when they break, however, hives in dogs vary in severity from dog breed to the other. While all dogs are susceptible to suffer from hive breakout, most dogs do not react to exposure to an allergen that causes hive breakout reaction; however, for those dogs that break, the severity can range from mild to severe. Your local vet will be the best-placed advisor of what you should do to remedy the breakout so If your veterinarian feels that the reaction will go away on its own within 24 hours, the recommendation will likely be to let the hives go away on their own without administrating any form of medication. What can I give my dog for an allergic reaction? 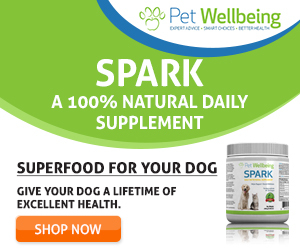 Give your dog anti-allergy supplements like this one available on Amazon, If anything, Hives are known to get treated well enough with the likes of Benadryl or diphenhydramine which are all antihistamines. While any form of Benadryl will work well to treat allergic reactions to dogs, do not put your dog at risk by attempting to treat your dog at home with over the counter antihistamines without seeing a local vet for proper physical examination to asses the severity of the hives in your dog. Corticosteroids like dexamethasone or prednisone are the perfect pet hives treatment when your dog has just had an allergen reaction to exposure to triggers of hive breakout in dogs. Corticosteroids are best for treating hives and if that has not worked out well for your dog, which is a rare occurrence, epinephrine can be used to treating severe or life-threatening reactions. Can Dogs Take Benadryl Daily? A quick answer is yes, dogs are allowed to take low doses of Benadryl on a day to day basis where the dog is likely to benefit from it due to either the dog suffers from anxiety, your local veterinarian have prescribed the low dose Benadryl once a day to allow her to cope with exposure to allergens. The side effects of giving Benadryl to dogs is drowsiness Benadryl causes, that is why long-term use of antihistamines in dogs cannot be ignored, however in some cases, Benadryl can be helpful for the dogs. So if your dog is dealing with recurring allergenic reactions, do not overlook the main side effects of Benadryl especially drowsiness. How can I tell if my dog is having an allergic reaction? Hives or bumps all over the body. If for any reason you notice any of the signs above, immediately see your veterinarian for help. In rare cases, dogs who show the extreme signs described above will likely be experiencing a severe allergic reaction called anaphylaxis. Why I Black Lab Itching Constantly? Is your black lab itching constantly? Possibly you have also looked to see if there is any sign of fleas on his skin but you have found no evidence of fleabites. Dog Has Bumps all over his body itching? Cellulitis -Is It Causing Dog Lips Swollen And Itchy? IN THIS ARTICLE LEARN ABOUT…..